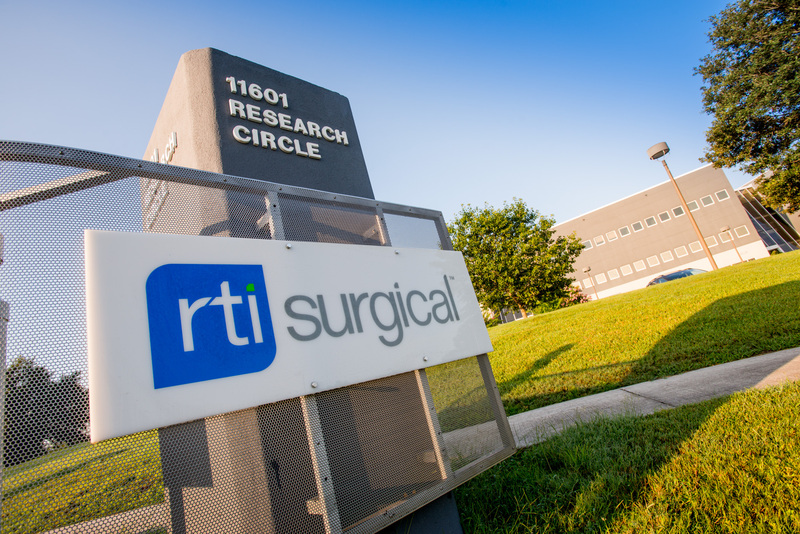 RTI Surgical™ Announces 2015 First Quarter Results - RTI Surgical Holdings, Inc. Achieved first quarter revenues of $68 million, a 12 percent increase over the first quarter of 2014. Achieved net income per fully diluted share of $0.05. Benefited from accelerated deferred revenue recognition of $1.5 million and associated net income per fully diluted share of $0.02. Achieved revenues of $19.4 million in the spine business, a 2 percent increase over the first quarter of 2014 with a 20 percent increase in the direct spine business. Achieved revenues of $12.1 million in the sports medicine business, a 7 percent increase over the first quarter of 2014. Achieved revenues of $10.9 million in the BGS and general orthopedic business, a 34 percent increase over first quarter of 2014. Achieved revenues of $10.6 million in the orthofixation business, a 42 percent increase over the first quarter of 2014. Worldwide revenues were $68 million for the first quarter of 2015 compared to revenues of $60.7 million for the first quarter of 2014. Domestic revenues were $62.7 million for the first quarter of 2015 compared to revenues of $54.8 million for the first quarter of 2014. International revenues were $5.3 million for the first quarter of 2015 compared to revenues of $5.9 million for the first quarter of 2014. On a constant currency basis, international revenues for the first quarter of 2015 increased 1 percent compared to the first quarter of 2014. For the first quarter of 2015, the company benefited from $1.5 million in accelerated deferred revenue recognition due to loss of exclusivity by its commercial partner in the breast reconstruction market. For the first quarter of 2015, the company reported net income applicable to common shares of $2.9 million and net income per fully diluted common share of $0.05, based on 57.9 million fully diluted shares outstanding, compared to net loss applicable to common shares of $3.1 million and net loss per fully diluted common share of $0.05 for the first quarter of 2014, based on 56.5 million fully diluted shares outstanding. For the first quarter 2015, the company benefited from $0.9 million in net income applicable to common shares, or $0.02 in net income per fully diluted common share, related to the previously mentioned accelerated deferred revenue recognition. Adjusted earnings before interest, taxes, depreciation and amortization (adjusted EBITDA), as detailed in the reconciliation provided later in this release, was $10.7 million for the first quarter of 2015 (16 percent of first quarter 2015 revenues) compared to $6.4 million for the first quarter of 2014 (10 percent of first quarter 2014 revenues). Based on results from the first quarter, the company is raising full year guidance for 2015. The company now expects full year revenues for 2015 to be between $281 million and $286 million, as compared to prior guidance of between $279 million and $285 million. Full year net income per fully diluted common share is expected to be in the range of $0.19 to $0.23 based on 58.2 million fully diluted common shares outstanding, as compared to prior guidance of $0.17 to $0.22. For the second quarter of 2015, the company expects revenues to be between $70 million and $71 million, and net income per fully diluted common share to be approximately $0.04, based on 58.2 million fully diluted shares outstanding. 2014 Inventory purchase accounting adjustment – This adjustment represents the purchase price effects on the sale of acquired Pioneer inventory, which have been included in costs of processing and distribution. Management removes the amount of these nonrecurring costs from the Company’s operating results to assist in assessing its operating performance in the periods affected and to supplement a comparison to the Company’s past operating performance. Adjusted net income applicable to common shares, adjusted net income per fully diluted share, and adjusted EBITDA should not be considered in isolation, or as a replacement for GAAP measures. The Company believes that presenting adjusted net income applicable to common shares, adjusted net income per fully diluted share, and adjusted EBITDA in addition to the related GAAP measures provide investors greater transparency to the information used by management in its financial decision-making which excludes the inventory purchase accounting adjustment. The Company further believes that providing this information better enables RTI Surgical’s investors to understand the Company’s overall core performance and to evaluate the methodology used by management to assess and measure such performance.